The city raided two strip clubs early Sunday morning after getting complaints from residents, according to police director Jerry Speziale. Fire inspectors and police raided Dr. Cave’s on Grand Street and Silk City Gentlemen’s Club on 1st Avenue. Dr. Cave’s at 245 Grand Street was raided at around 1 a.m. Inspectors and police were struck by strong marijuana odor upon entering the establishment. Police found 16 lit hookahs on the bar and discovered the establishment was charging patrons an entrance fee without an entertainment license. $1,914 was seized from the business. $1,290 entrance fees and $624 illegal proceeds from hookah sales. 49 hookahs and hookah accessories were seized. Police issued two summonses to the business for operating without an entertainment license and public smoking. Three other unspecified administrative charges were filed against the business. Dr. Cave’s was the scene of a shooting in early January, police said. Police received “significant” amount of fights, loud music, traffic condition complaints against the business from residents. Silk City Gentlemen’s Club at 10 1st Avenue was raided at 2:45 a.m. Police found 27 hookahs at the business. Hookahs were seized as evidence. Silk City Gentlemen’s Lounge was issued summonses for smoking in public and two administrative charges. Police did not seize any money from the business because it was close to closing and the currency from the hookah could not be differentiated, according to Speziale. 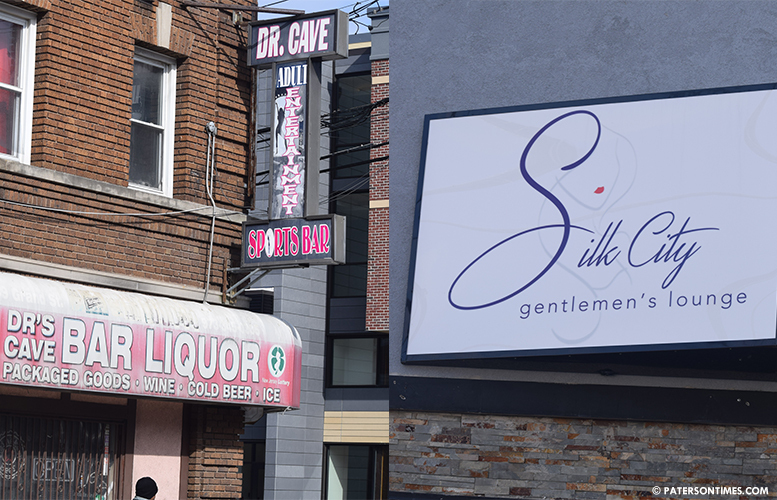 Police received many large fights complaints at Silk City Gentlemen’s Lounge. The night before, police and inspectors raided four cafes and a deli on Grand Street for illegal activities.